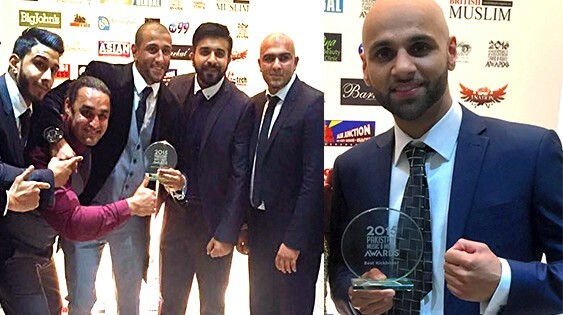 British-Pakistanis, Umer Bullet Tooth Kiyani and Qasim The Dream Beg, have won the first awards of Pakistan Music and Media (PMM) Awards in their respective sports categories on September 3, 2015 in Birmingham (UK). The Pakistani Music and Media Awards (PMMA) have been launched this year to recognize and celebrate the outstanding contributions and grassroots initiatives by individuals and groups across the UK with Pakistani and British Asian heritage. Umer “Bullet Tooth” Kiyani who won the PMM award for “Best Cage Fighter 2015” is a Professional MMA Fighter with a Pro MMA Fight Record of 6-3 (Source: Tapology). This is the second award Umer Kayani has bagged this year after being honored with “Pride of Community” award. Umer Kayani was also given achievement award by House of Lords last year for being an inspiration to the youth. 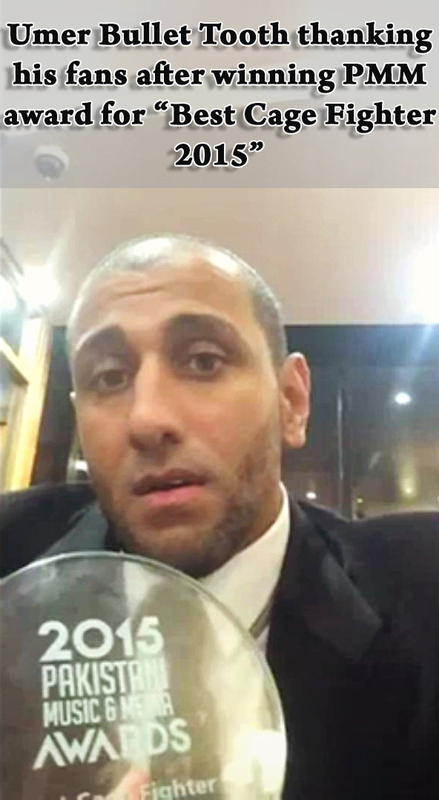 PMM award for “Best Kickboxer 2015” was won by Qasim “The Dream” Beg, an undefeated Kickboxer who won an English Championship, 3 versions of the British title, 3 versions of the European crown and 2 versions of the World title in a two year period before turning Pro at 18 where he has since gone on to become a Professional World title and holds the Pro-record of 22-0 (Source: Twitter). Team of PAK MMA wants to congratulate both of the awesome fighters for their achievements and wish them all the best for their future endeavors. 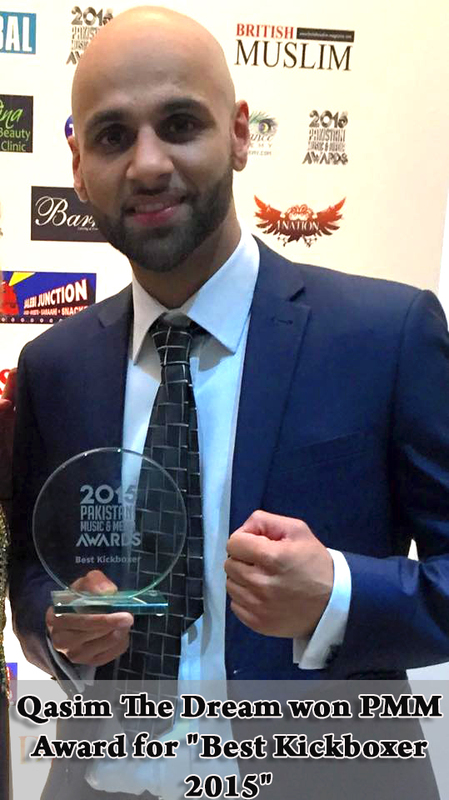 Update: Qais Ashfaq won the PMM award for “Best Upcoming Boxer 2015”. Qais Ashfaq is 2 times National Senior ABA Champion, GB Champion, Commonwealth Games Silver Medalist, European Bronze & Silver Medalist (Source: Twitter). PAK MMA congratulates the champ and wishes him a promising boxing career ahead.